How do I know? 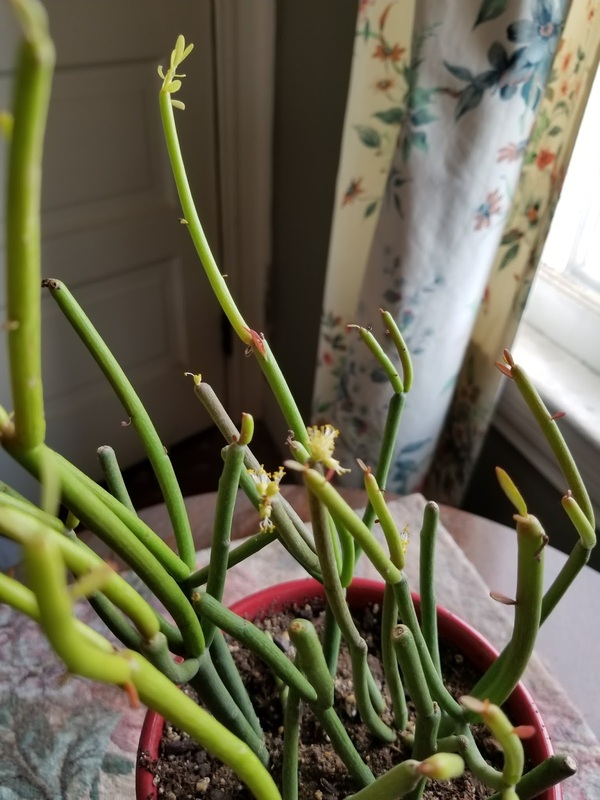 Well, let me tell you, if you don't know when your succulent blooms there's a problem... because little things shoot out the end, little flowers, you know? This is how they make little succulents. To be honest, some people my think me special because I have more than one succulent, in fact I have a lot... and an orchid which just started to bloom, as well. One thing most people don't know about succulents is that they are poisonous to dogs, so if you have one, keep your dog away from it. And for those who don't know "God's Own Country" won some top awards at the British Independent Film Awards ceremony. Congrats to all the winners for working on such a great film! Of course in the US those wins set all Social Conservative's teeth on edge, just like the marriage equality bill in Australia. This is not the world they want. This is why Roy Moore is their Prince, their Storybook Hero; he represents an America where Biblical Law rules. You can bet many of them are going to be tuned into the election results this evening without even understanding the outcome means nothing. You see millions of Americans, a vast majority, have already passed judgement on Roy Moore in much the same way he passed judgement in his years as a judge, by what they deem to be fair and decent and right. If Roy Moore wins, then the Social Conservatives lose in much the same way they lost when Joel Osteen demonstrated his total lack of compassion, of concern for Humanity when Hurricane Harvey devastated Houston, and in much the same way they lose when ever they lay their hands upon the Idiot Jerk in the White House. And, of course, they also lose if he fails to win Jeff Session's seat in the Senate. Do they care? Hell No! They are not concerned with Caring Compassion, with Humanity; all they want is total control, the ability to pass judgement freely, and to take away your human rights. Do they understand? Hell No! Will they lose? Hell Yes! I'm not. A vast majority of Americans have already made up their minds and it's not pretty for either the administration or the party.